Expedition 46 Crew and Principia: Columbus Control Centre displays. 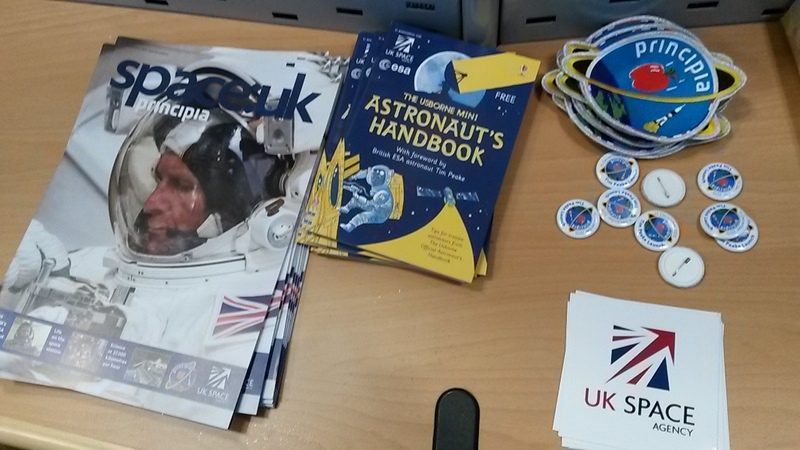 ESA Eurocom Andrea Boyd, from Australia, looks back at a first week in space for Tim Peake. Day 10 of the Principia Mission and it’s been a much more intense time than new space station crew normally experience when arriving on the International Space Station! Tim has taken this in his stride and performed marvellously. Arriving on Tuesday 15 December, new crew are supposed to have some extra time during the first week to adapt to space as well as working, running the various science experiments and of course exercising. Tim’s exercise includes continuing training for his upcoming London Marathon. Their first day on board also had a one-hour emergency response practice drill, reviewing and performing in space things that they have practiced as a crew on ground many times. After that Yuri, Misha and Sergei went straight back to work in the Russian Science Laboratory while the two Tims and Scott, returned to running many different science experiments in the Japanese Kibo, American Destiny and European Columbus Orbiting Laboratories. In flight call at the European Astronaut Centre. Friday 18 December we had the first inflight call from space to the European Astronaut Centre – my colleagues and I enjoyed seeing Tim doing so well, answering questions from our visiting journalists and attempting his first live backflip! You can watch the full replay online. On Tim’s fourth day in space they realised an emergency spacewalk was needed and crew worked all weekend to prepare this for Monday. Less than a week after launch Tim was tasked with being Intervehicular Support which is an incredibly demanding role: to be responsible for the airlock, the status and the safety of both spacewalkers. On Sunday Tim was able to have some face to face time in his first weekly private family videoconference. On Monday I was on console in the Columbus Control Centre to witness the Expedition 46 crew square away the critical task of this spacewalk – rescuing the stuck Mobile Transporter (MT). It was a race against time because a Progress cargo ship was launched on Monday and it had to dock on Wednesday, so the Mobile Transporter needed to be fixed before then. The team aimed for Monday with Tuesday as a backup just in case. Thankfully, Scott and Tim Kopra solved issues with the Mobile Transporter just 20 minutes after leaving the airlock and then took on several tasks from spacewalks scheduled for next year. After finishing all of those, Tim guided them back inside the airlock, performed the ingress procedure and after all these checks were clear, opened the hatch to welcome them both back and get them out of the suits. It’s not quite like in the film Gravity to doff the Extravehicular Mobility Units (EMUs): removing spacesuits requires extra assistance and takes about half an hour per suit. Sergei Volkov came to the airlock to assist for some of the procedure during his free time even though he wasn’t scheduled to, he joined by choice just before the two spacewalkers returned inside to make Tim’s tasks faster and to help the whole crew. The international space station crew is fantastic like that – we can clearly see the camaraderie from mission control. A few days earlier the Progress 60P cargo ship had undocked from the station taking out rubbish with it and burnt up in the atmosphere as planned, freeing up the port for the next Progress 62P cargo ship which launched the same Monday as the spacewalk and chased the Space Station for a couple of days, docking automatically to the same port on Wednesday. Christmas presents, new science, fuel and food supplies were welcomed by the crew and Yuri, Misha and Sergei are unpacking about 3 tonnes from Progress while Tim, Tim and Scott are continuing to unpack about 3 tonnes from the Cygnus cargo ship. A metric tonne each is a lot for an astronaut to unpack around their science and other duties so it takes a while. 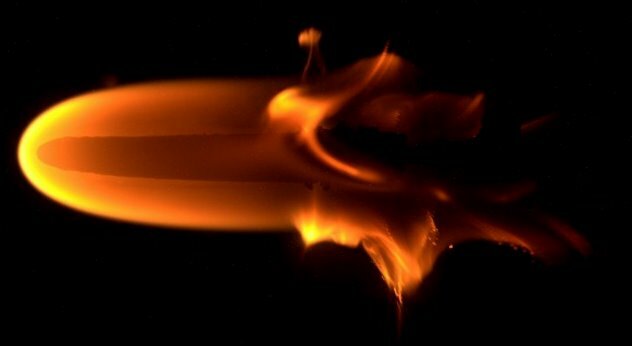 Amongst the new experiments brought up is one of my favourites called BASS which stands for Burning and Suppression of Solids – it’s basically setting controlled fires to test and develop flame-retardant textiles. Fire in space is one of the three potential onboard Emergency situations but in a controlled experiment container like BASS, it looks phenomenal! It’s been a pleasure to chat to Tim during various science experiments. You can listen to our entertaining British-Australian accent clash again next week as well as hear all the other astronauts chat to different Mission Controls: the space to ground channels are broadcast live all the time on www.ustream.tv/channel/live-iss-stream. To distinguish between the two Tims we first call up using their surname, Kopra or Peake, and then switch to just saying Tim. The Columbus Control Centre had various Christmas touches subtly added around the consoles and the Mission Directors at the start of this month left each Flight Control Team console an advent calendar or three (depending on shifts) to open up a door of chocolate each day in December. I added a Koala bauble tree and Christmas turtles, fun space fact: Houston mission control and Munich Mission Control both have lakes with turtles in them and Moscow mission control sent turtles orbiting around the Moon long before Apollo. We have a running joke that all successful spaceflight programs need turtles! The crew have Christmas Day itself off as a well-deserved rest and a bonus one-hour video conference each to talk to their families. The Operations Planning team made some colourful modifications to our usual timeline on December 25. Saturday as usual the crew perform cleaning, chores and maintenance tasks around the space station (don’t think that being an astronaut excuses you from chores! They divide up the kitchen, bathroom, vacuuming chores and so on just like you do at home!). Sunday is the astronauts’ only day off, each week including a one-hour videoconference call to their family and Monday to Friday is back to 12-hour working days as usual. Did I mention Tim sent us Fruit Mince Pies!!?? I was VERY excited and my tastebuds were dancing. Hoping there’s still some left for seconds on my next shift…! Columbus Flight Control Team and parts of Tim’s Christmas care package! Great blog post! Thanks a lot, Andgie.